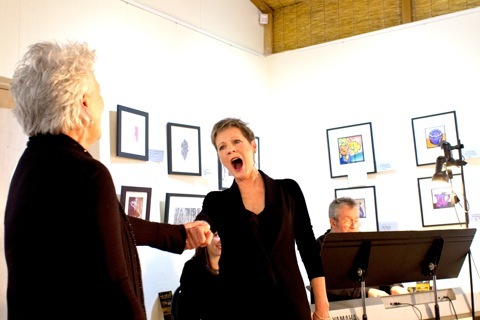 On 26 July, 70 people sat spellbound at The Hut as they witnessed the magical talent of well-known and much loved artists, Judi Connelli, Suzanne Johnston and Peter Hurley in a cabaret concert. The performance of the three local and internationally acclaimed artists perfectly combined sophistication and humour with the profound and the poignant. Many said it was an experience they would never forget. This entry was posted in Arts, What's On and tagged The Hut. Bookmark the permalink.